Kathy Paauw, an eastside resident since 1989 and a business owner since 1995, has been a member of the Eastside Business Association for many years. Kathy is a relationship marketing consultant and trainer, as well as a gratitude coach. “Buried in Paper?” teaches participants how to process incoming paper and information and effectively follow up with items that require action. You’ll learn about a powerful follow-up tool for business professionals to use with their customers, prospects and referral partners. “Double Your Business in One Year” teaches participants how to easily attract more referrals and grow their business by expressing appreciation and staying top-of-mind. She is the author of The Music of Your Heart, an award-winning book that is recommended for any business owner who seeks greater balance and meaning in their work and personal life. Her boldest dream is to help others achieve financial and lifestyle freedom while sharing their gifts and talents in a way that makes their heart sing. Good Sense Accounting helps small businesses, individuals and nonprofits realize their vision with accounting, bookkeeping, tax preparation and business planning. Based in Issaquah, we’re close to Bellevue, Sammamish and Seattle. It all starts with a vision–knowing what you hope to achieve with your life, business and finances. With your direction and purpose set, we help map out the quickest route that will get you where you want to go. We help you realize your vision! Bookkeeping is the tool we use to manage your progress toward achieving your vision. We watch the books and keep you up-to-date with the information you need. That frees you up to do what you do best. Managing your taxes can increase the speed at which you achieve your vision. Tax planning and proper application of the tax law will reduce the amount of taxes assessed. We help you pay as little tax as is legally required. Nonprofits are more difficult to manage than businesses because they deal with the vision of many individuals: donors, volunteers, staff and the people you are serving. We help you manage your nonprofit to serve the goals of everyone involved. In 1994, Mario joined the Kirkland Chamber staff as the Membership/Marketing Director. In 1995, Mario was awarded for “Largest Annual Chamber Membership Growth” in the United States from the United States Chamber of Commerce and the National Association of Membership Development. He was also the top selling Membership Director in Washington State four years in running. 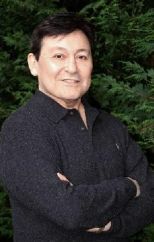 In 1998 Mario accepted the position as Executive Director of the Greater Seattle Business Association. In 2000, Mario was voted in by the King County Council to be a commissioner with the King County Civil Rights Commission. In July, 2000 Mario graduated with honors from the United Chamber of Commerce Institute for Organizational Management at the University of Colorado. During this time Mario also represented the City of Seattle as Welcoming Community Leader to the visiting dignitaries such as President Bill Clinton, Vice President Al Gore and President George W. Bush.